THE JEWELRY: This sea glass necklace was hand made with genuine, hand picked seaglass beachcombed by me from a shore along the majestic Pacific Ocean. The truly vintage gems are likely from antique bottle glass and have been naturally tumbling for at least 40 - 70 years. They've been drilled and stacked upon a sterling silver, hand made wire bail. 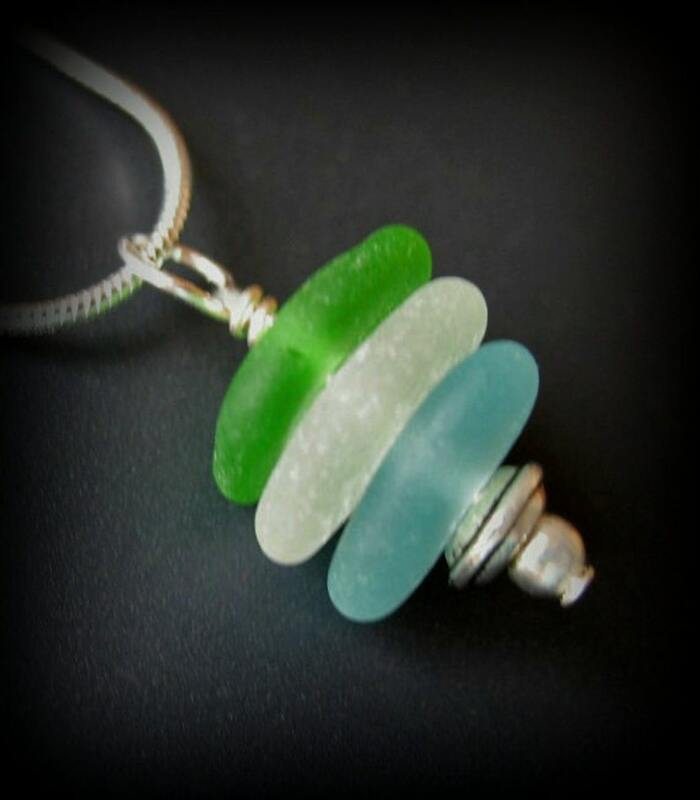 GIFT BOXED W/CARD: It will come on a gift card that tells the short story of sea glass and gives the name of the ocean the sea glass was beachcombed from. MEASUREMENTS & MATERIALS: The sea glass pendant, including .999 silver bail measures right about 3/4" long. The chain is 18" sterling silver. It is accented with two base metal art beads.